From the BBC's Richard and Judy Summer Reads TV show. WIll admit, it's a little freaky hearing "Sherlock Holmes" review and read from my first novel "Guernica." Helping Curt and Ana Warner tell their story was an inspiring change of pace from fiction writing for me. 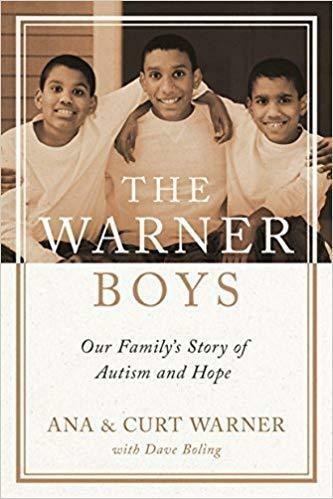 The book tells of their decades of dedication to raising their family, including twins Austin and Christian, who have been profoundly affected by autism. Published by Little A, THE WARNER BOYS has been "star" reviewed by Publishers Weekly and Booklist. It was selected as one of Amazon's First Read books for November 2018. The Lost History of Stars is the U.S version of the previously published "The Undesirables" (In the UK and Commonwealth). Two kind blurbs from authors I greatly respect: Jess Walter and Garth Stein. 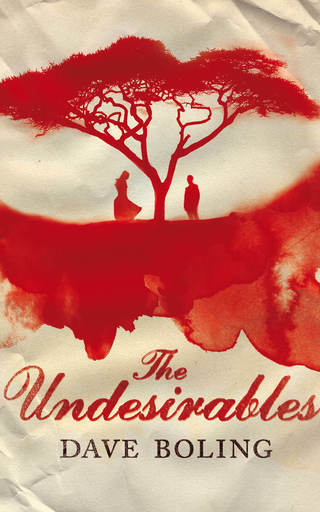 Dave Boling's second novel, The Undesirables (Picador UK), is now available in the UK and Commonwealth. 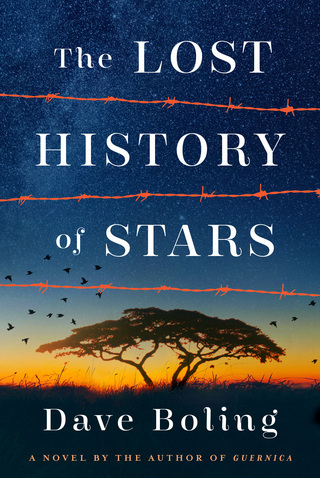 Algonquin Books will be the U.S. publisher, with publication date now set for June 6, 2017 under the title The Lost History of Stars. From Picador: "A deeply moving, intimate portrait of family, friendship and love, set against the backdrop of the Second Boer War at the turn of the twentieth century, The Undesirables (the British name for the residents of the camps) is the heart-rending yet life-affirming new novel from the top ten bestselling author of Guernica, winner of the Richard & Judy Summer Read." A native of the Chicago area, Boling is a sports columnist in Washington state. His first novel, "Guernica" was translated into 13 languages, with an English-language edition sold world-wide. It won the Pacific Northwest Booksellers Association award for fiction for 2009, and was a Barnes and Noble "Discover Great New Writers" selection. Waterstone's (UK) selected it as one of 12 "New Voices" novels for 2009. 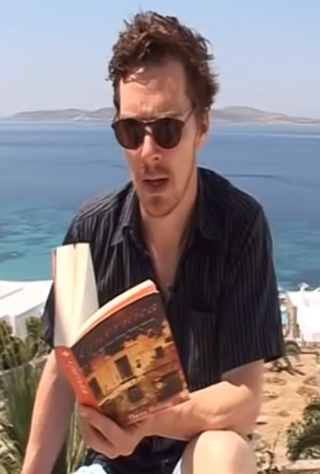 Also in the UK, it was selected as one of Richard and Judy's Summer Reads of 2009. It was voted the favorite of the eight summer read selections by a poll of readers and viewers. 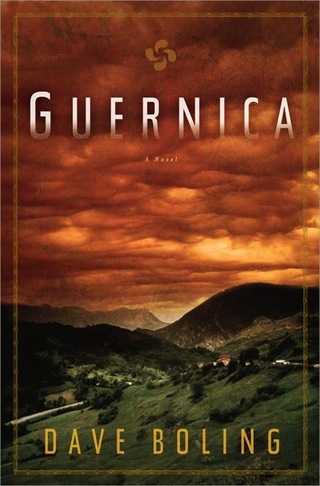 PNBA AWARDS COMMITTEE on 2009 Fiction Award winning "Guernica"
"... the novel is about loss, but also about loss's counterpoints, love and endurance. The description of the bombing of Guernica is so moving, detailed and sad that it becomes almost unbearable. By this point in the story, we're so familiar with the families of the town that we are pulled to the depths of their tragedy and pain. ... ultimately, this is a universal story. Through art and the historical record, Guernica is emblazoned in memory, enduring as an expression of individual and collective outrage." "A written mural of love in troubled times ... it has many marks of a skilled journalist finding his way into the subtly different prose demands of fiction. That Boling's first effort has brought so many notable characters to life in such realistic settings is praiseworthy." '' ... rich stew of a novel ... Boling has created a multilayered saga about love, family loyalty and the fierce patriotism of this indomitable region." "... a wholly absorbing epic about a community caught up in one of the worst moments in the 20th Century's fight against fascism." JUDY: "The first half of Guernica is a funny and charming tale of small-town life that brings to mind books like Captain Corelli's Mandolin and The Island, and like those two books, there's a serious focus at it's centre. The characters are so vibrant, you really believe in them. I felt like I was experiencing every victory and heartache as if it was my own. Rarely do y ou find a book that you can recommend unreservedly, but this is one of them. Read it." RICHARD: "Guernica became a byword for the first experiment in Nazi terror bombing in 1937 when the town was razed to the ground allowing Spanish nationalists to overrun it. The tension mounts as the story nears the infamous atrocities on helpless civilians. The book is both captivating and transporting, as well as having a real heart and an important message of resolve in the face of evil." who paid the awful price when a savage civil war visited them. [R]estrained yet evocative prose. ...Boling deftly reveals the unique and colorful cultural traditions that defined the Basque people from that era." "...in his own way, with words instead of brushstrokes, Boling too paints a sprawling mural, a meditation on a family irrevocably disfigured by war." "Boling's 'Guernica' ... is an engrossing, dramatic family saga filled with engaging characters and resonant details of rural Spanish life. The fierce pride and independence of the Basque people is captured in its pages, as are their cultural traditions. "... Guernica is an old-fashioned novel in the tradition of Michener and Irving Stone, with rich and memorable fictitious characters loosely stapled to historic events. 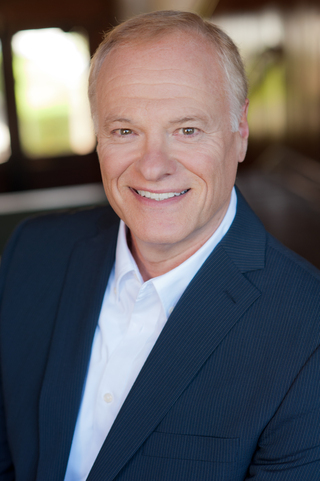 Author Dave Boling has taken on a huge and ambitious tale." "A wonderfully satisfying read which I strongly recommend"
"As Boling tells the story of Guernica and her people, he also tells the story of human suffering, heroism, and amazing fortitude. The Basque culture is portrayed in all its beauty, and the countryside of Spain is described so well that you can see, hear, taste, and smell it."